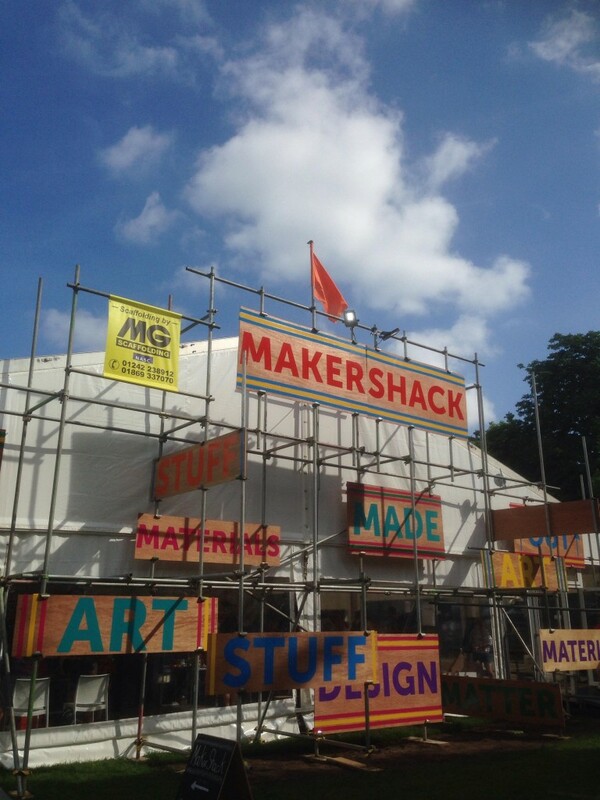 Nearly 10,000 people enjoyed tinkering with materials in The Maker Shack at the Cheltenham Science Festival 2018 – and nearly all of them designed and made a clay tile at the Eastnor Pottery station! It was the second year running Olivia Clements requested the services of the Flying Potter so we knew what to expect in terms of sheer volume of participation….and we weren’t disappointed! 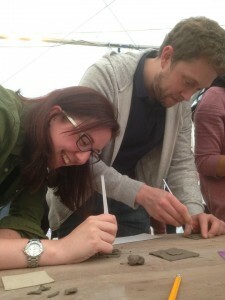 The event was exhausting and needed team Eastnor Pottery & The Flying Potter to work shifts. Sarah, Millie and Jon all did a couple of days but all agreed it would have been really, really hard work if it hadn’t been for the brilliant army of volunteer helpers. Each station was designated a couple of extra hands who once had been briefed on the activity, set about their tasks with enthusiasm, initiative and understanding. They were brilliant! http://eastnorpottery.co.uk/wp-content/uploads/2019/03/eastnor_pottery_header_2019-3.png 0 0 admin http://eastnorpottery.co.uk/wp-content/uploads/2019/03/eastnor_pottery_header_2019-3.png admin2018-07-29 19:33:152018-07-29 19:33:15Volunteer power! 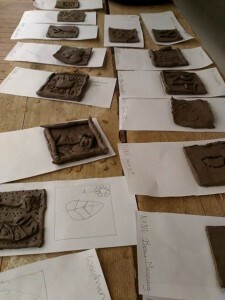 Arts week at Brockhampton Primary School near Bromyard is a busy and creative time with the school employing a host of creative practitioners to work their magic with mixed age groups of children. It was a great opportunity to network with other artists and catch-up with old friends. 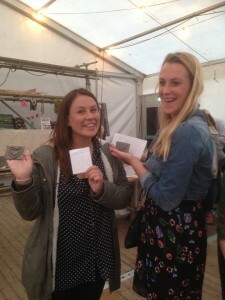 Megan Evans is an environmentally aware print maker whose work with young people I’ve admired for some time. Although we’d been employed on the same projects in the past, we hadn’t had the opportunity to put a face to the emails and phone conversations until Brockhampton. Felicity O’ Neill is a teacher turned artist practitioner who is destined to set the world of participatory arts alight with her well prepared & researched visual arts projects. I loved the janga janga inspired paintings the children made just as much as they obviously enjoyed painting them. It just so happened Nortonwoods were at the school putting the finishing touches to an inspiring and amazing outside area including a giant crooked house, old fashioned sweet shop and barbecue shack – all lovingly constructed from recycled and reclaimed timber and materials. (above) What a fantastic learning space to fire the imagination! Well done Brockhampton for its commitment to the creative arts and outside learning. When our children were young, Sarah and myself loved reading to them. Story time just before bed was a magical, special time we look back on with total fondness. We enjoyed the literature just as much (maybe more!?) than the children and each evening marveled at the illustrations, narrative and the clever way the two came together. The kids are all grown up now and have either flown the nest or are preparing to fly. As a consequence of them getting older, our exposure to the brilliance of children’s picture books has dwindled. We’ve recently worked with two primary schools who have set beautifully illustrated children’s books as the inspiration for their clay work. Each child and member of staff made and painted an individual tile, imagining which type of ‘person’ they would be. 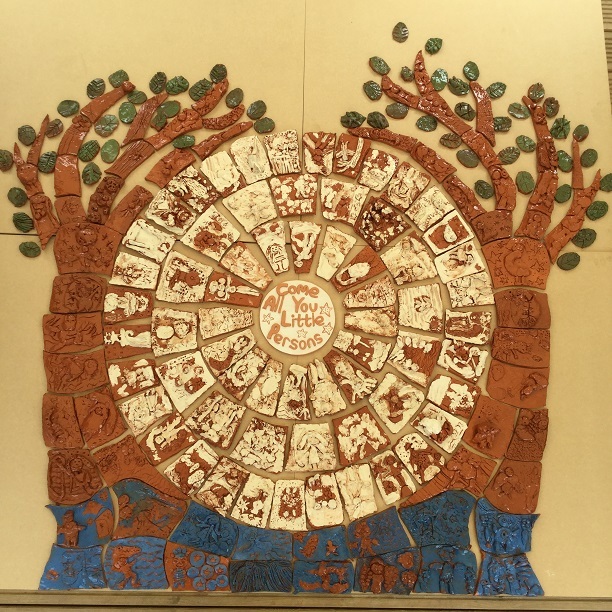 All the tiles have been fired, glazed and mounted and make a composite image of a globe supported either side by magnificent trees. The celebratory piece has been installed in the school hall for children, parents and staff to admire for a long time to come. Another school another book! KS1 at Upton Upon Severn Primary School looked at the books ‘Milo and the Magical Stones’ by Marcus Pfister and ‘The Tin Forest’ by Helen Ward. Both books have an environmental message and offered perfect inspiration for the children’s clay work. Instead of a collaborative effect, each child made an individual piece using the pinch pot technique to create a hollow character from the book. Two separate projects with two super ceramic outcomes! 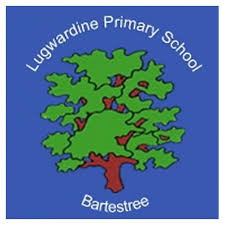 The Flying Potter landed at Lugwardine Primary School near Hereford just before the Easter break. 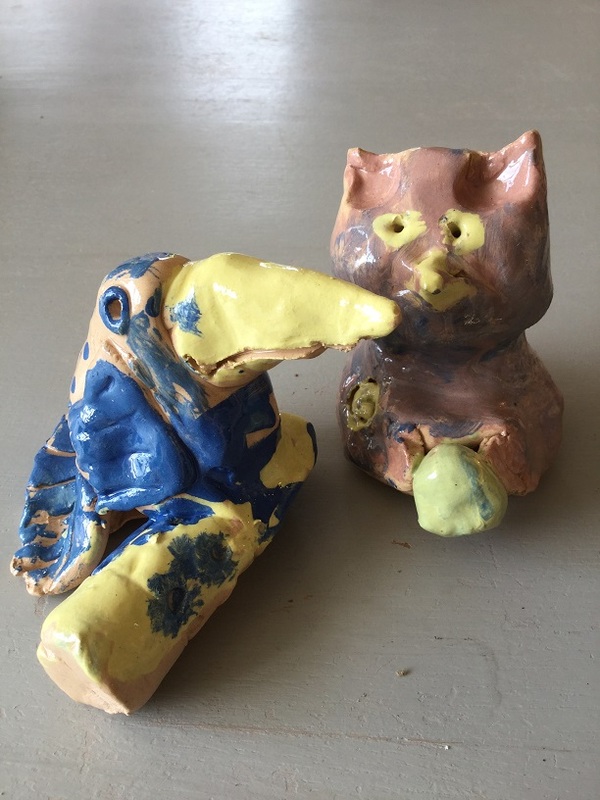 The school was celebrating all things arty and crafty in their annual arts week and pottery was just one of many art forms the children were encouraged to engage with over the five days. 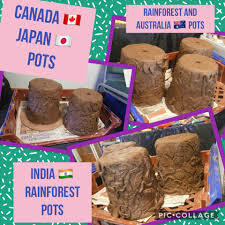 Each year group was given a different country to inspire their clay work with each class making a collaborative terracotta planter encrusted with decoration associated with their assigned country. The Sydney Opera House on the Australian vessel was a particular stroke of genius! 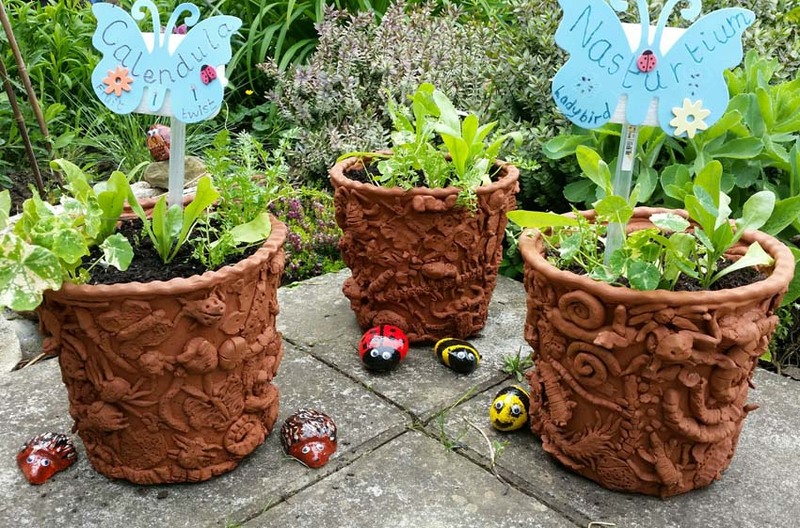 The pots have been dried and fired at Eastnor Pottery HQ and returned to the school to take up permanent residence in their new sensory garden. We’ve worked with Bishops Cleeve Primary School for a number of years producing quality, collaborative ceramic masterpieces, most of which are proudly displayed through-out the school. 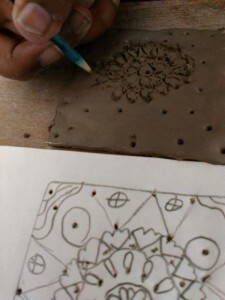 “Always polite and puts all at ease whether paid teaching staff, classroom assistants or the unpaid voluntary helpers who make such a difference to the children’s experience of clay. 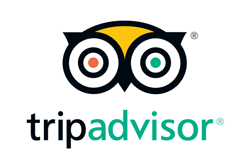 Jon is always totally responsive to ideas and suggestions from the teacher planning the day and he or his friendly & helpful staff, respond promptly and enthusiastically to all the administrative details that schools need. Jon’s encouragement and gentle, open manner with the children never fails to put all at their ease and get the best outcomes possible. They love his sense of fun and even the teachers forgave him his jokes! It is always evident that Jon has a wealth of experience working with children of all abilities and he seems to have an intuitive feeling for the best approaches to take with each individual. His enthusiasm is infectious and our children gain valuable memories or working with a professional artist who is happy to share his skills and passion for all things muddy! It exceeded my expectation as the children were more original and Jon’s demonstration of different ways of forming the animals and borders were so clear that all the children had a range of choices to make and were able to adapt the techniques shown to suit their animal and their own ability. Mrs Parkes is also an extremely talented maker in her own right. Examples of her work can be seen here.